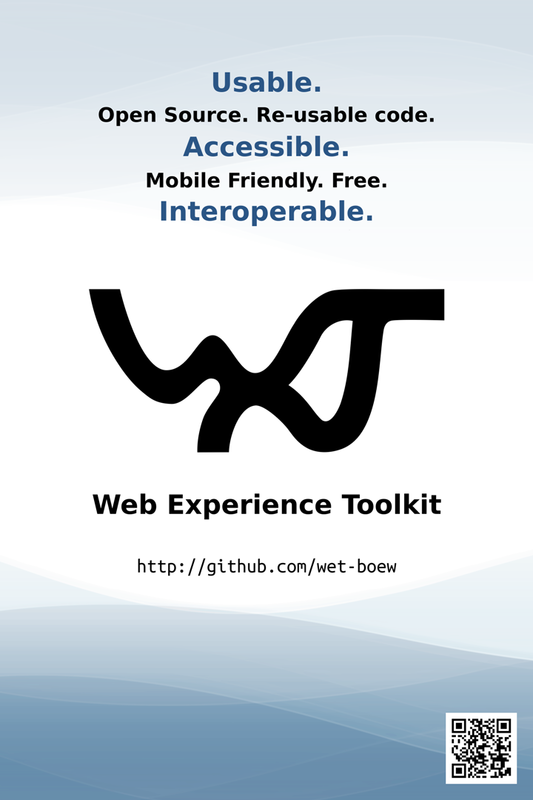 Use the material on this page when promoting the Web Experience Toolkit. Unless otherwise noted, all the material on this page is available under the same terms and conditions as the Web Experience Toolkit. If you develop additional promotional material, please share it on this page for others to use. Make or buy a tshirt!